The European Union has been urged to demonstrate “trust and vision” in talks with the UK at the start of a week of intense efforts to find a Brexit breakthrough. Foreign Secretary Jeremy Hunt said the process was at a “critical period” but insisted there was “a way through” which could secure the support of MPs at Westminster. His comments came as Theresa May’s effective deputy prime minister warned that a no-deal outcome would cause serious economic damage and could even put the future of the United Kingdom at risk. Mr Hunt was speaking in Brussels at a foreign ministers’ meeting and is expected to have further talks with counterparts this week. Meanwhile Mrs May will meet European Commission president Jean-Claude Juncker in the coming days and Brexit Secretary Stephen Barclay will hold talks with the EU’s chief negotiator Michel Barnier on Monday. 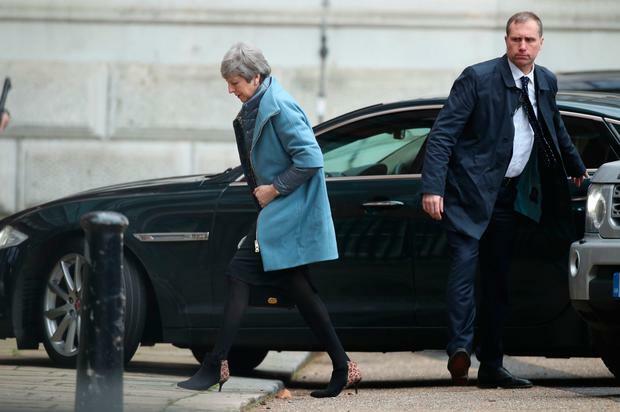 The pair are expected to discuss the proposals of the Alternative Arrangements Working Group of Tories, who have been seeking a compromise solution to avoid the need for the controversial Irish backstop. Ahead of his talks with Mr Barclay, Mr Barnier said “time is very short” as the clock ticks down to Brexit day on March 29. Mr David Lidington stressed the Government’s determination to secure a deal and issued a stark warning about what was at stake. He told BBC Radio 4’s Today programme that a no-deal Brexit was “something that no member of the Cabinet wants to see, because… it would cause some serious damage to our economy and, I think, put strain on the union of the United Kingdom”. In a sign of the increased Government activity, Mrs May spoke over the weekend to seven European leaders including Italy’s Giuseppe Conte, following talks last week with 13 counterparts including Germany’s Angela Merkel and France’s Emmanuel Macron. She hopes to speak to the remaining EU leaders over the coming days. But despite the intensive engagement, Number 10 insiders acknowledged it was “hard to judge” what progress would be made this week. In a speech later this week, Attorney General Geoffrey Cox will set out what changes would be required to eliminate the legal risk of being indefinitely trapped in the insurance policy to avoid a hard border. Mr Lidington said the Attorney General on Tuesday would explain “how the legal tests that he has set about ensuring the so-called backstop cannot be used to trap the UK indefinitely could be met and overcome” and he expected MPs to put “great weight” on his advice. Mrs May had made clear that she wanted to “reopen” the Withdrawal Agreement to secure legal reassurance on the backstop, said Mr Lidington, though he accepted that would be “very difficult”. It comes after Culture Secretary Jeremy Wright suggested Mrs May might not seek to reopen the legal text of the Withdrawal Agreement to make changes to the backstop, prompting anger from Eurosceptic Tories. Mr Wright implied the agreement could be amended via a codicil, saying the “objective” mattered more than the “mechanism”. Tory Brexiteer Sir John Redwood said it was not possible to “gloss” the Withdrawal Agreement. Sir Bill Cash, Conservative chairman of the European Scrutiny Committee, said, if the changes were just “flowery words”, then the deal “won’t wash”.